UPDATE: Oso has been saved. Read the story here. 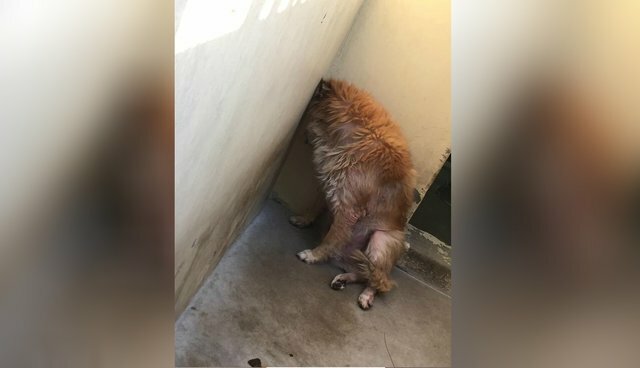 Amid the bustling, barking confines of a Los Angeles–area animal shelter, the silence of one dog's kennel makes the saddest statement of all. Maybe that's because there isn't much left there. Just four walls and a broken heart. 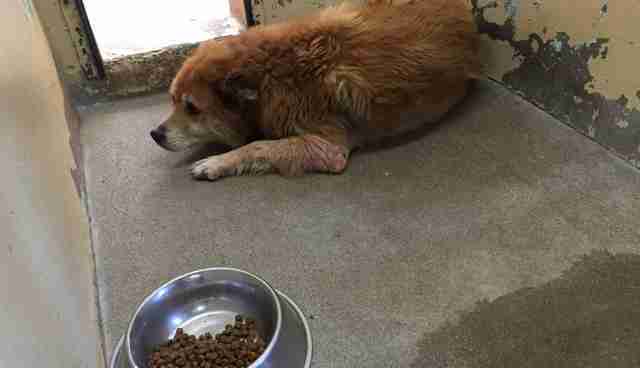 Oso, an 8-year-old chow mix, seemed an empty shell when he arrived at Downey Animal Care Center. He was dumped just before the Fourth of July weekend. His family didn't give a reason. But Sal Valdepeña, who volunteers to find homes for shelter dogs in the area, has an idea. "Owners didn't want to be bothered by his skin condition," he tells The Dodo. "They betrayed him because of his skin." Indeed, Oso suffers from alopecia and pyoderma, both skin conditions that are treatable. In fact, the Downey shelter has a booth set up at the entrance, with staff from the American Society for the Prevention of Cruelty to Animals offering financial assistance for people who can't afford their pet's medical bills. What may take a little longer to treat is Oso's shattered heart. "He's defeated and confused," Valdepeña says. "Staring at the wall trembling." Of course, we've seen this sobering scene before. 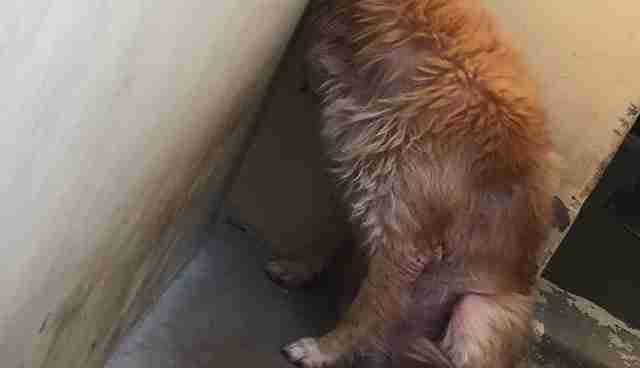 Some dogs completely shut down when they arrive at a shelter. Others hold on to hope a little longer. But Oso doesn't have a lot of time for hope. Space is at a premium in this busy shelter. He hasn't been added to the shelter's kill list yet, as Valdepeña has been trying to buy the dog as much time as possible. For Oso, every second counts. Think you can get him out of there? Reach out to Downey Animal Care Center directly at 562- 940-6898.